(Available for adoption within 100 miles of Tallahassee, FL and within 25 miles of Pensacola, FL) Tiny Quinn has very quickly earned the nickname 'Sweet Little Boy' because his truly such a sweet little boy. He came to CSTR from a Louisiana animal shelter, and we're unsure of his past prior to arriving there. He's obviously been abused at some point because he flinches when touched, but that abuse has not damped his desire for touch and attention. Quinn is a friendly guy who loves to have his back and belly scratched. He also loves to sleep curled up against his foster mom's back. His little tail wags constantly, and he is happiest when he is snuggled up next to her. 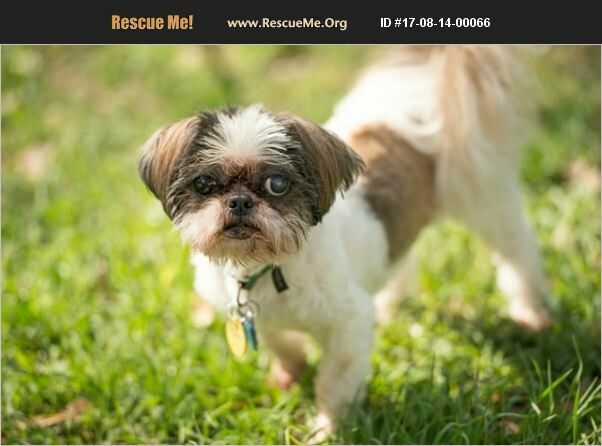 Quinn is a little approximately 8-9 year old guy who weighs just 7 pounds. He is neutered, current on vaccinations, heartworm negative and on preventative and microchipped. He does have some dry eye so takes drops in his eyes twice a day. He is working on housetraining in his foster home, and a fenced yard will be required in order to adopt him. Quinn gets along with pretty much all dogs and is indifferent to cats. Due to his apparent history of previous abuse, he would not be appropriate for a home with small children. ADOPTION FEE: $200 A copy of the vet records will be provided to adopter at the time of adoption. This dog is fostered in the Tallahassee, FL area and adoption applications will be accepted from individuals living within a 100 mile radius. Visit our website at http://crossroadsrescue.org/adopt/ to view our adoption information and complete our online adoption application.